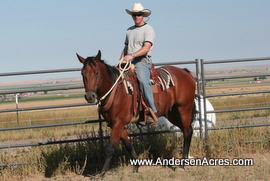 old Quarter Horse gelding. 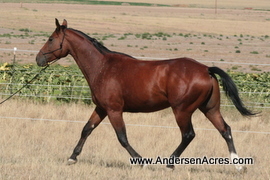 He is Bay in color 15.2hh. His markings include: Right Hind Sock. 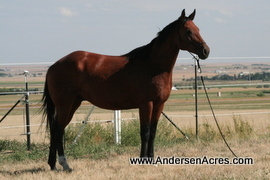 Comet enjoys attention and likes to play and is curious about things. He is stocky, strong and is willing to learn as he normally investigates and accepts things. 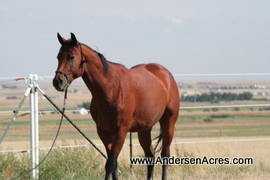 Comet is typically calm and easy going. Call for more information and to set up a time to see Comet. 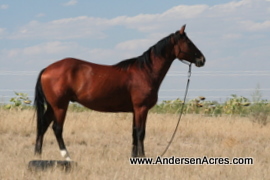 This horse is yours for $2100 cash price.